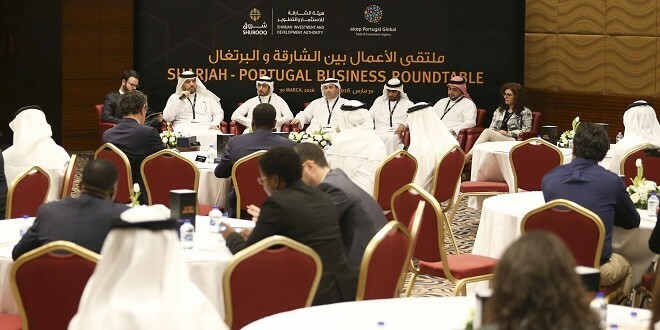 The most effective ways of enhancing business between Sharjah and Portugal were high on the agenda at a key meeting organised by Sharjah Investment and Development Authority (Shurooq) in collaboration with AICEP Portugal Global Trade and Investment Agency. More than 50 business stakeholders attended the premium roundtable event, which was held at Sharjah Chamber of Commerce and which brought together senior dignitaries from Sharjah’s business community and representatives from successful Portuguese companies based in the UAE. Welcome addresses from the hosts were given by H.E. Khalid bin Butti Al Hajri, Director General, Sharjah Chamber of Commerce and Industry, H.E. Marwan Al Sarkal, CEO, Shurooq. The event was also attended by His Excellency Dr. Jose Andrade de Lemos, Ambassador of Angola in the UAE. UAE-based representative for the visiting delegation, Eng. Manuel Couto Miranda, Trade Commissioner, Portuguese Embassy in Abu Dhabi, spoke of the mutually rewarding relationship that his European country and the UAE emirate enjoys. 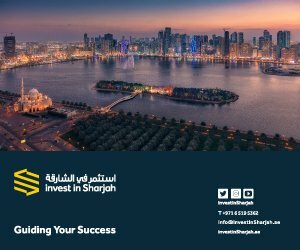 “As the most diversified economy in the UAE, Sharjah occupies a unique position within the country. Its many attractions and its economic and tourism investment opportunities are enhanced by sophisticated infrastructure and advanced communications networks that allow for easy access to local and international markets. 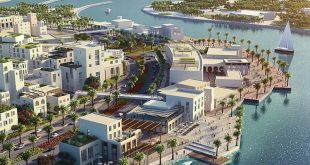 Sharjah’s diversified economy now includes multiple tourism projects which have attracted millions of dollars’ worth of investments. 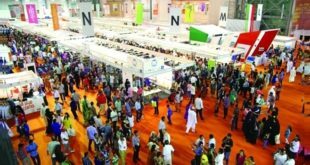 These projects have allowed investors to be pioneers with their products and services and to grow their profitability in niche markets,” said H.E. Marwan Al Sarkal, CEO, Shurooq, speaking to the guests. Following a short film presentation about Sharjah’s success stories, which profiled the most prominent investment sectors for the Portuguese business community, including arts, heritage, industry, trade, environment, tourism, hospitality, leisure, family entertainment and education, a panel discussion was held. Fielding the questions at the forum were Mr. Mohamed Al Musharrkh, Deputy Director of Sharjah FDI; Mr. Mohamed Almahmoud, Commercial Director, Sharjah Airport International Free Zone; Mr. Fahad Shehail, Chief Development Officer, Bee’ah; Dr. Abdul Aziz Al Muhairi, Director, Sharjah Health Authority; Mr. Ahmed Al-Suwaidi, Head of Commercial Investment Section, Sharjah Economic Development Department and Ms. Lurdes Eusebio, Managing Director of the successful UAE-based Portuguese business, The First International Business. Panel moderator was Dr. Caetano Leitao, Consultant at One Advice. 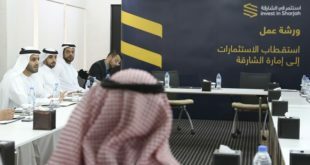 During the discussion a number of important financial fact and figures relating to Portugal and Sharjah were reiterated, with the observation that the two entities have a great deal in common. Cited during the talks was the March 2016 report from Moody’s, the renowned bond credit rating organisation, that stated that Portugal’s economy was ranked as ‘very comfortable’ and its expectation that the country would experience strong growth as its government pursues more strategic local and global investments. Also mentioned was the statistic that bilateral trade between the UAE and Portugal was valued at AED 1.23 billion in 2015, with the two countries aiming to double this figure to AED 2.5 billion in 2016. 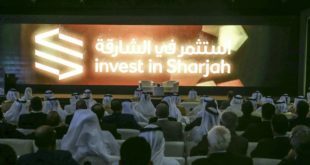 Sharjah’s positioning as one of the leading and most diverse economy across the entire MENA region was highlighted. Finally, giving her experience of setting up a company in Sharjah, Ms. Lurdes Eusebio, Managing Director of The First International Business, said that it was a combination of ease of operation and Sharjah’s central location that encouraged her to start her business in the emirate. She explained that she received her business licence in one day, was able to enjoy 100 per cent ownership of her company and since starting it, has enjoyed numerous services in the emirate that have facilitated its growth and expansion.